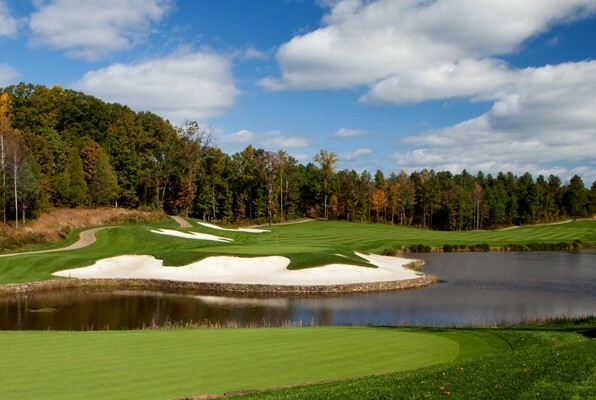 Recently ranked # 58 on Gold Digest’s “Top 100 list of public courses you can play” Spring Creek Golf Club is fantastic course and truly a hidden gem in Charlottesville Golf. 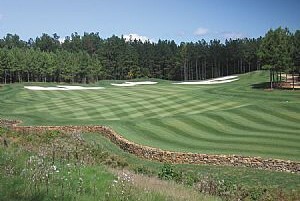 The extremely well-manicured layout opened in 2007 and won Golf Digest’s Best new affordable course. Course designer Ed Carton really did a great job using the natural contours of the land creating a scenic, challenging yet playable course. Spring Creek’s bent grass tees, greens and fairways are meticulously maintained, daily playing conditions are easily comparable to the top private clubs in the mid-Atlantic region. Spring Creek is conveniently located 1/4 mile off interstate 64 and 25 minutes east of Charlottesville. Include Spring Creek with other great area courses: Birdwood Golf Course, Old Trail Golf Club and Wintergreen Resort on a Virginia Golf Vacation to Charlottesville.